Liberian writers have been called upon to produce works that will be used to educate the children of Liberia. Isumel Kromah, a Liberian Swiss-based businessman whose company Domfah General Enterprise owns a school in Liberia, made the call recently in an interview with Nordic Africa News. Kromah’s school, the Domfah Academy and Professional Institute (DAPI) recently went public about its desire to purchase books by Liberian authors but Mr. Kromah said ” we could not get many”. In an email circulated earlier this year Mr. Kromah wrote that his school was able to buy some books by Liberian authors but stressed that the number was not enough. He urged Liberian writers to get organized into a recognized body so that proprietors of schools can be empowered to help push their works into the Liberian school system. We need to let the Ministry of Education to know that we have Liberian writers out there who can do better, he added. 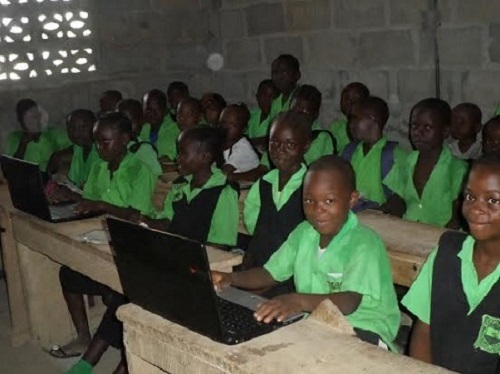 DAPI, located in Johnsonville, one of Liberia’s poor communities, is shinning the light of education into the paths of children who would otherwise not have had the opportunity to get a quality education.